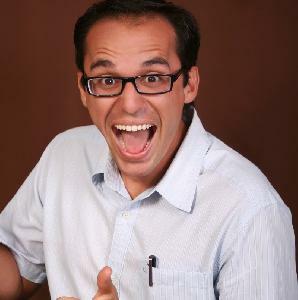 Carlos Feliciano is a Latino Comic of Puerto Rican decent. Born in New Jersey, Lived in Puerto Rico and Miami. Currently living in Los Angeles, he brings a non-sensical style of comedy, with a little of Latin flair (your welcome). A latin not so lover is trying to conquer the hearts of millions while trying to stay true to his identity. Check out his latest comedic short film titled "I can has Marriage" a comedy about a man trying to propose to his Girlfriend, just to find out she has another man.